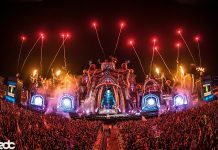 In keeping with Insomniac’s ongoing international expansion, the company today announced it has entered into a partnership with ALDA after acquiring 50 percent of the Amsterdam-based company that is a leader in developing, producing and promoting dance music events and experiences around the world. 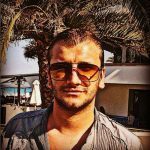 Together the two premier production companies will expand the dance music scene to a broader international audience, bringing their brands around the globe and expanding their footprint in Europe, Asia and the United States. Over the last 25 years, Insomniac has grown into the premier dance music production company and has produced more than 2,000 events, including Nocturnal Wonderland, the longest running dance music festival in the U.S., and Electric Daisy Carnival (EDC), North America’s largest dance music festival, which welcomed over 400,000 attendees to Las Vegas for three days in May of this year. 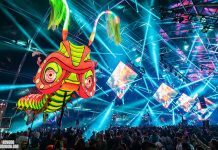 Insomniac’s international portfolio—which includes events in 8 countries—currently features events like EDC Japan, EDC China, and EDC Mexico, which is now the largest music event held in that country. 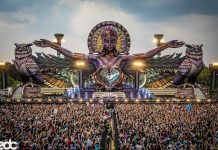 With more than 180 shows produced in more than 30 countries, ALDA leads the international dance music scene with outdoor and indoor festivals, tours and events, including AMF, the largest indoor music festival in The Netherlands, A State of Trance, the world’s leading trance event and New Horizons Festival, one of the largest electronic music festivals in Germany. ALDA will continue to operate as an independent company under co-founders Allan Hardenberg and David Lewis.